Don’t be afraid to try adding cables to your knitting. It’s easy; let Sharon show you how. 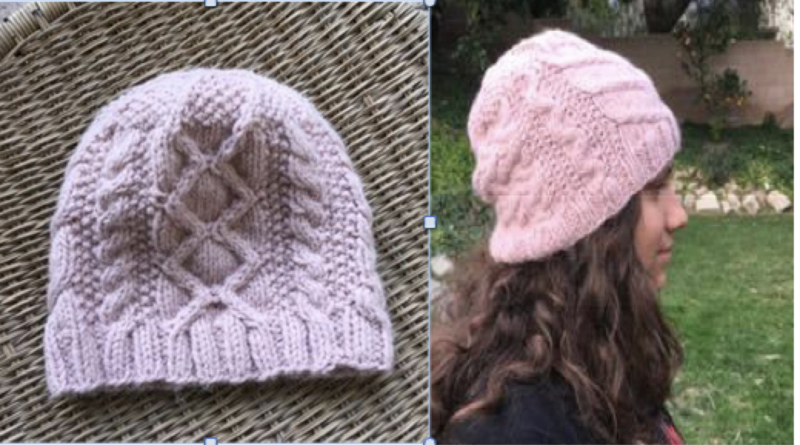 You’ll learn two different cables and combine them in a lovely cable hat suitable for women or men. Circular gauge swatch to determine needle size. Ask for help if you don’t know how to do this. (Plan to come by a few days before the class) Must be completed before class! You won’t be admitted if your homework is not done! Work Rnds 1 -7. Bring this and all materials to class with you.